It's cherry season and I'm loving it. 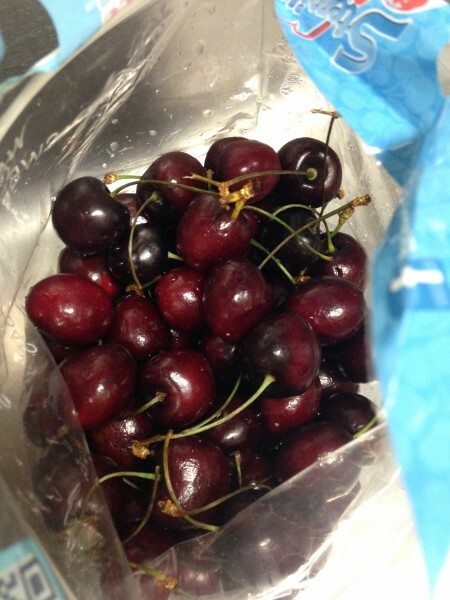 Fresh bing cherries can't be beat. They're only around for a while so get 'em while you can. I remember living in Syracuse NY, we actually had a bing cherry tree in the back yard. What a treat that was! In a soup pot add some olive oil to cover the bottom, sautee garlic and set aside. Scoop the squash out leaving the skin and place in blender with some of the buttermilk to puree. Keep doing small batches, using Vegetable broth when the buttermilk runs out. Add peanut butter to squash in the blender and blend. Put all the blended soup (it should be thick) in the soup pot with garlic and heat over low heat. Add nutmeg, salt and pepper. Season to taste. 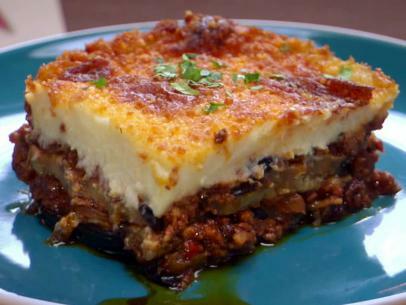 Just for the record, Moussaka is made with ground LAMB not ground beef and does NOT have a marinara sauce over the top of it. The eggplant should be sliced thick enough so that you can find it and there should be spicy hints of ginger and nutmeg. I had the worst Moussaka last night at the Nautilus Diner. They should have known better but it was like they were trying to dumb it down into some kind of greek lasagna thing. Terrible. For the lamb: Soak the currants in warm water for 30 minutes. Drain. Heat 1 tablespoon of the olive oil in a 6-quart saucepan over high heat. Add the lamb, cinnamon, ginger, allspice, cayenne, and salt and pepper and cook, stirring to break up the meat, until browned, about 5 minutes. Transfer the lamb to a large strainer set over a bowl and drain; discard any liquid left in the pan. Return the pan to the heat and add the remaining 3 tablespoons olive oil and heat until it begins to shimmer. Add the onions and bell pepper and cook until soft, about 5 minutes. Add the serrano and garlic and cook for 1 minute. Add the tomato paste and cook for 1 minute. Return the lamb to the pan, add the wine, and cook, stirring occasionally, until almost completely evaporated, about 5 minutes. Add the tomato puree and currants and bring to a boil. 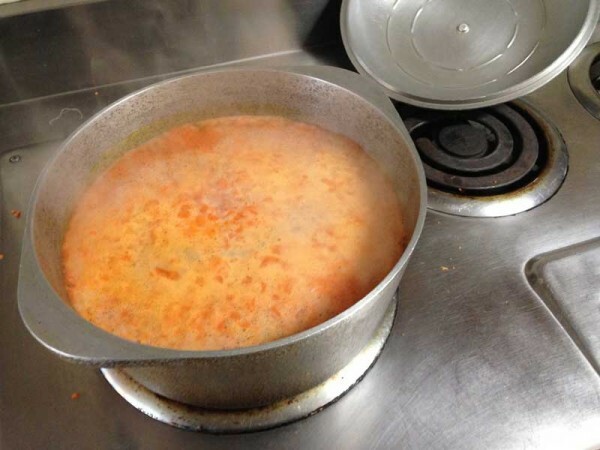 Reduce the heat to medium-low and simmer until thickened, about 30 minutes. Stir in the parsley and oregano and season with salt and pepper and honey, if needed. Remove from the heat. For the eggplant: Heat the canola oil in a 12-inch skillet over medium-high heat. Season the eggplant slices on both sides with salt and pepper. Working in batches, add the eggplant slices and fry until tender and lightly golden brown on both sides, about 5 minutes. Transfer the eggplant slices to paper towels. For the bechamel: Melt the butter in a medium saucepan over medium heat. Add the flour and cook, whisking constantly, until pale and smooth, 2 minutes. Still whisking constantly, add the milk and bay leaf and cook until thickened. Season with salt, pepper, and nutmeg and discard the bay leaf. Let the sauce cool for 5 minutes. In a small bowl, whisk together the egg yolks, goat cheese, and lemon zest and whisk into the bechamel sauce until smooth. To assemble: Put half the eggplant slices in the dish and cover with half the meat sauce. Top the sauce with the remaining eggplant slices, and then the remaining meat sauce. Pour the bechamel over the top of the meat sauce and spread evenly with a rubber spatula. Sprinkle Romano evenly over the top, place the dish on a baking sheet, and bake until browned and bubbly, 45 to 50 minutes. Top with more chopped parsley, if desired. Let cool for at least 20 minutes before serving. Add chopped carrots to stock and bring to a boil. Then cover and simmer 12 minutes. 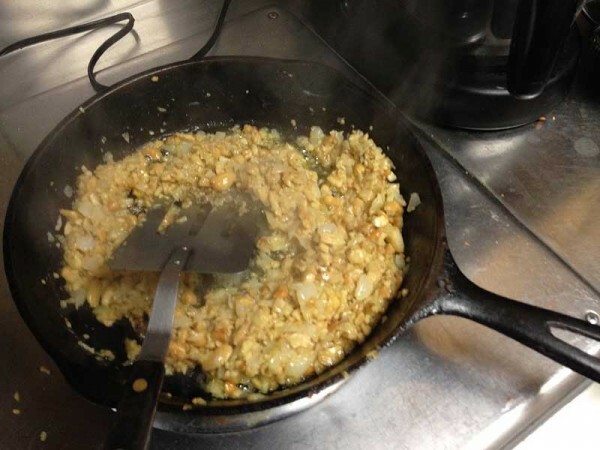 Sautee the following in butter: garlic, onions, cashews till onions are clear. Puree everything in a blender with 1 cup of buttermilk and return to pot. Heat slowly on med. heat. beat well. 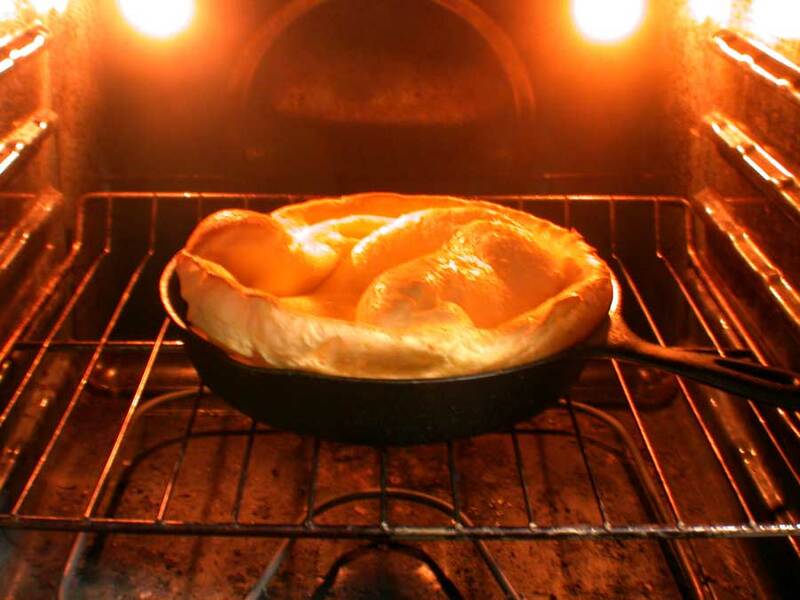 When the oven is fully preheated at 475º turn it down to 425º and remove the iron skillet. Fill with the egg mixture and return to oven for about 12 min. Remove from oven and sprinkle with powdered sugar. And eat. 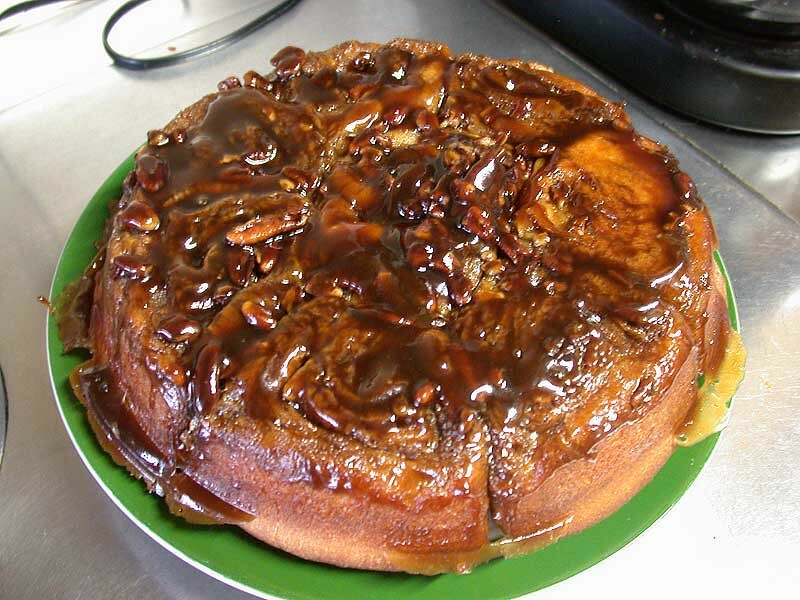 Can be served with maple syrup too. 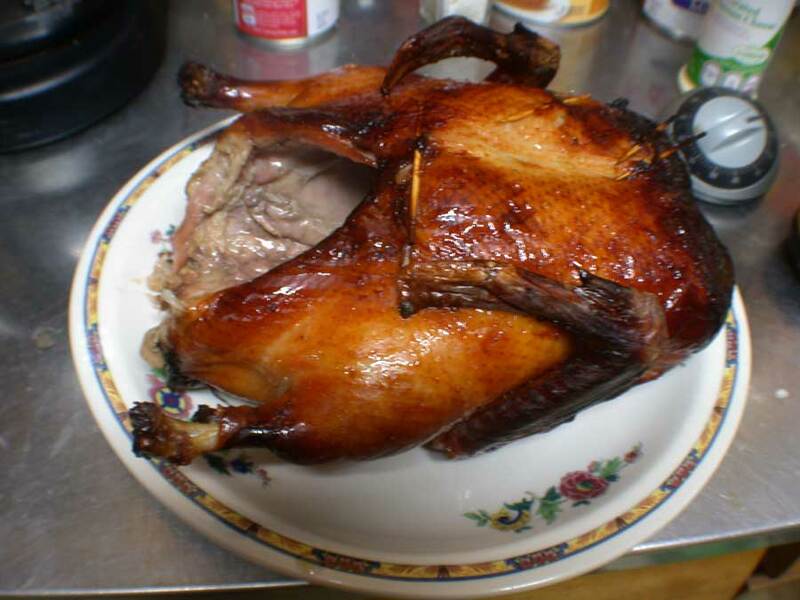 Made Peking Duck the other day-- it's a two day affair. First-- you separated the skin from the body of the duck by either blowing air from a straw, or using your fingers, which I did. Ruptured the skin in a few places and repaired it with toothpick skewers. Then -- you rub it with a mixture of salt and baking soda and let it sit in the refrigerator for about an hour. Pat all the moisture off and drain out the cavity. Then return to the refrigerator for another two hours. Ladel the bird with a boiling mixture of 3 tbsps soy sauce, 3 tbsps corn syrup, 2 tbsps of lemon juice and 1/2 cup of sugar. 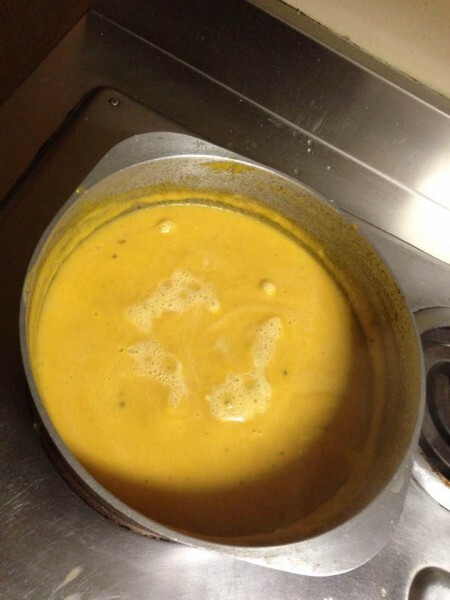 Then return to the refrigerator overnight. Next day preheat the over to 475º and cook for 15min. then turn down to 350º and cook for another 70-90min. Eat immediately. 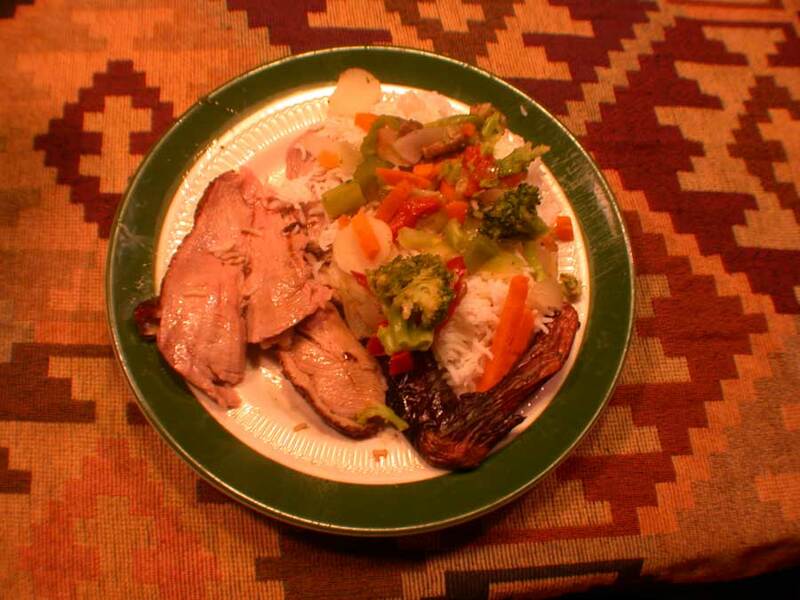 I served with rice and stir fry vegetables. Went out last night for an early anniversary dinner to the Fleet Street Kitchen near Fells Point. Various Baltimore restaurants were having a special soft shell crab week so we selected a place randomly that was participating. Had never been to the Fleet Street Kitchen before. The service was very special. They welcomed us with a personalized anniversary card and complimentary Rosé, and seviche which was very good. I ordered a cocktail-- the Colonel Baldwin's rum punch made with rum, cognac, madeira, cherry heering and I think some other spirits, no juice or base so it really packed a punch but was utterly delicious. As I said, the service was very special, even if the waiter did keep calling me "dear" which I didn't really appreciate. I think you call someone "dear" when they're a doddering 80 something, do I really look THAT old? I ordered a creamy spring onion soup, which had crabmeat in it and it was delicious. Jon and I shared it as best we could. "Bread" was brought to the table and delicately served to us with tongs as if it was hot from an oven. It was not. Two half slices and it wasn't anything special. We didn't order any vegetable sides which came ala carte. When our soft shell crabs came our mouths must have dropped open. One paltry soft shell crab which had been breaded and fried despite our asking that it be lightly floured and sauteed. This is the first time in my experience that I ordered soft shell crabs and was not served TWO crabs. That is the standard portion in any restaurant that I've been in. There should have been two. The tiny crab was served on a bed of pesto, greens and a duck confit, which was a kind of strange pairing. Nonetheless we ate every scrap and were still hungry. We ordered the "Campfire" for dessert, which was a sort of melange of flavors based on the s'more. Graham cracker crumbs supported a tablespoon on chocolate ice cream, dollops of marshmallow creme and a thin ring of chocolate mouse and threads of spun sugar to look like wisps of smoke-- it was all very gorgeous to look at, delicious to eat, but again, very sparing on the portion. The bill came in at $125. including tip, considering we walked away unsated I think that's a pretty high price. Scald milk. Stir in sugar, salt and 1/2 c Fleischmann’s Margarine; cool to lukewarm. Measure warm water into large warm bowl. Sprinkle or crumble in Fleischmann’s Yeast; stir until dissolved. Add lukewarm milk mixture, eggs, and half the flour. Beat 2 minutes at medium speed with electric mixer, or 300 vigorous strokes with spoon. Stir in enough additional flour to make a soft dough. Turn out onto lightly floured board. Knead until smooth and elastic, about 8 minutes. Place in greased bowl, turning to grease top. Cover; let rise in warm, draft-free place until doubled in bulk, about 45-50 minutes. Meanwhile, prepare pans: spread 4 tablespoons softened Fleischmann’s Margarine in each of three 8-inch square pans. Sprinkle 1/2 c brown sugar and 1/3 c pecans in each pan. Pour 1/4 c corn syrup into each pan. Punch dough down and turn out onto floured board. Divide into three parts. Roll each third into 9 x 5 rectangle and spread each with 2 tablespoons of remaining softened Fleischmann’s Margarine; sprinkle with remaining brown sugar. Roll up each rectangle from long side and cut into 9 slices. Arrange 9 rolls in each pan, cut sides up. Cover, let rise in warm, draft-free place until doubled in bulk, about 30 minutes. Bake in hot oven (400) about 25 minutes, or until done. Cool in pans 10 minutes; invert onto plates to finish cooling. Bubbly hot, thick and rich-- any thicker and it would be a pudding! Wisk the cocoa and sugar together into a medium-sized saucepan. 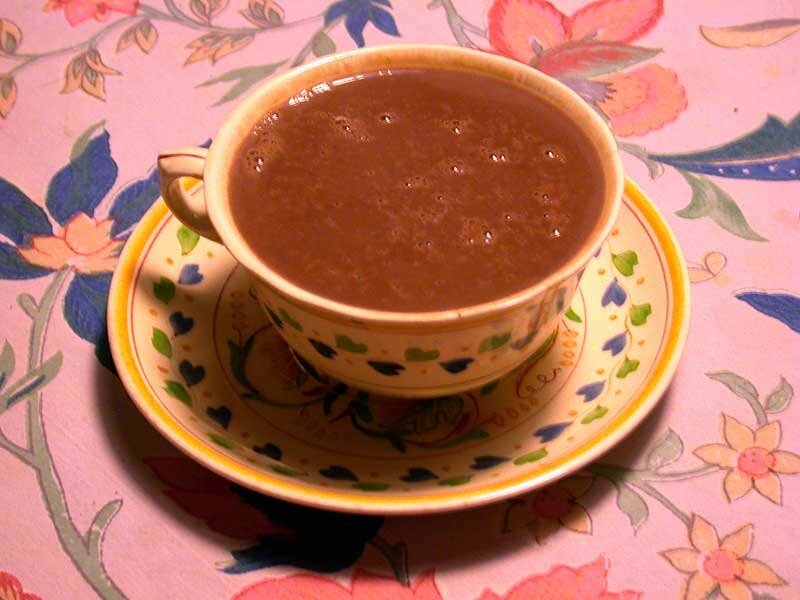 Dissolve the cornstarch in the water, and stir into the cocoa and sugar until it is a smooth paste. Serve steaming hot in coffee mug. Serves six. Sorry I'm repeating myself. I already entered this recipe. DOH!! well, here's a seasonal reminder. 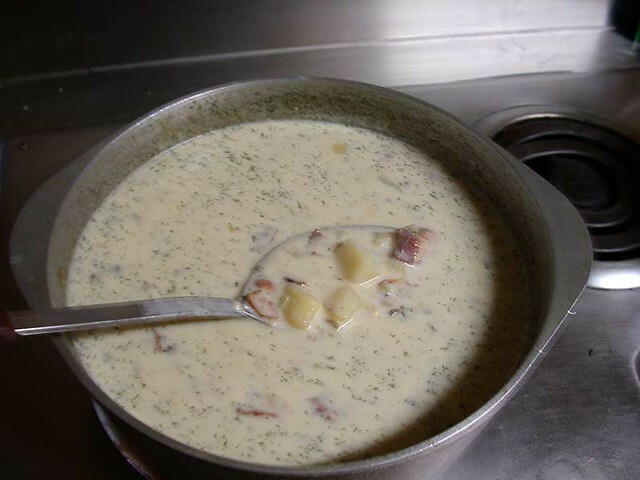 After the storm-- Clam Chowder!